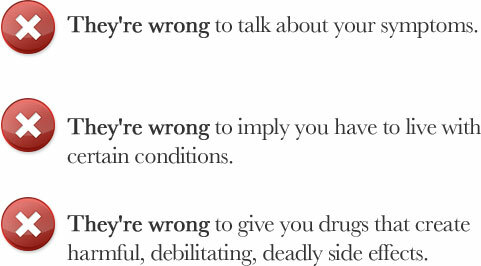 Don't ever talk about your symptoms again. Allow the knowing that health is unconditionally, 100% your Natural State to penetrate the thoughts streaming through your mind at this very second. Even if you have a “so-called” terminal disease. Even if you are months, days away from potentially dying. Even if you feel completely hopeless about your body. Even if you feel completely hopeless about your life. Even if every single day is a struggle to get through and you're wondering, "What's the point?" You're breathing in and out. Your Innate Intelligence is ready, willing and able to repair your body - IF it receives the vital nutrients to optimally function and blissfully elevate your health. Are you so overwhelmed by how acutely your symptoms have affected your quality of life that it's difficult to believe you can tap back into your Natural State of Health? You are under zero obligation to tell me how difficult it is to function in life - whether you have some nasty disease or you're experiencing something as seemingly harmless as occasional low energy. We have ALL been there in some way, shape or form. When your body isn't optimally performing, regardless of how subtle or acute the "malfunction" feels, it impacts every single aspect of your life. Everything from your confidence to the amount of money you can produce is totally interconnected with your health. 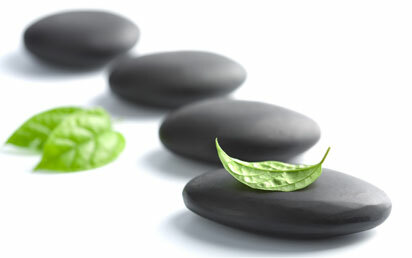 How do you get from where you are (and what you're presently experiencing) back to your Natural State of Health? How do you go from constantly thinking about your symptoms and problems to always focusing on your health? The first step is understanding that dis-ease (everything that's NOT in harmony with absolutely perfect wellbeing) is the result of your Innate Intelligence breaking down. If you're failing to give your body the WHOLE, intact, pure, organic nutrients it needs to thrive, dis-ease inevitably creeps in. A lot of people wait until their symptoms become diagnosable pathology or chronic, everyday challenges. Focusing on eradicating the problem is so incredibly seductive. Have the symptoms of dis-ease taken your life over? Are you being tricked into believing the cloud cover is the problem and the sunshine that is your Natural State of Health doesn't exist anymore? When your body is taken over by malfunctioning cells, toxicity, candida, heavy metals, free radicals, parasites, inflammation and pain, it's difficult to NOT think about your symptoms. They're so in your face. ...they're going to give you drugs or supplements that focus mostly (or entirely) on treating your symptoms. While the cause is virtually ignored. And activating your Natural State of Health. You can finally acknowledge that your health is always where your complete and undivided attention belongs. Because no matter what level of dis-ease you're presently experiencing, you can ALWAYS elevate your health and live in your Natural State. I'm the Managing Director of Activation Products. 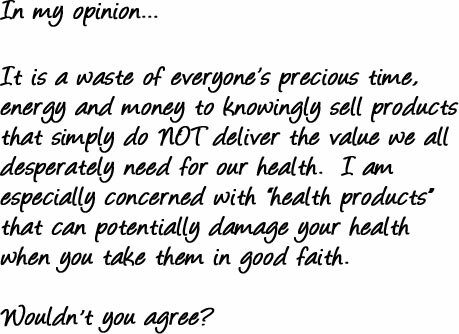 It's my job to discover the purest most effective micronutrients available for human health and bring them to market. Ever since I learned how to personally support my bodies natural state of health and recovered from life threatening illness, I have a passion and mission to share this vital information with millions of people around the world achieve their own personal, Natural State of Health. You're looking at the very first Blend Of The MOST powerful micronutrients from Seeds. This is the FIRST TIME the Blueprint of Life from Seeds have been unlocked without any damage!! We've FINALLY unlocked the intact life from seeds. ...in the purest, most concentrated form, ever. Don't make the mistake of thinking you can just go to your local health food store and purchase seed oil to reap the benefits of this powerful, life-changing technological quantum leap in health. 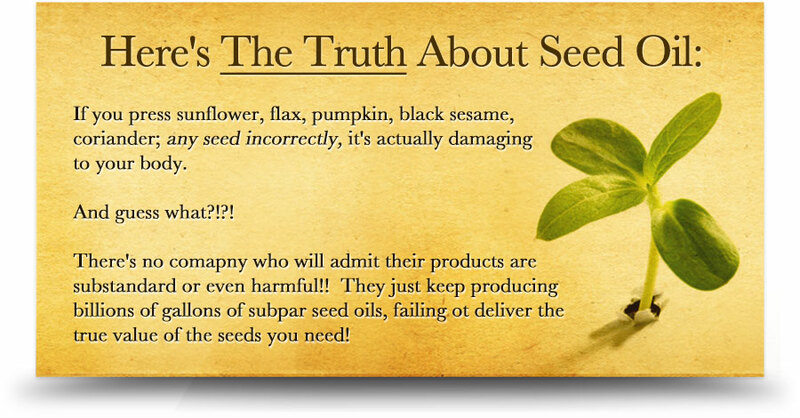 You're wasting your time, money and destroying your hope for having high levels of wellness when you miss out on the real life of seeds for your body. Do you understand the HUGE shift in mentality I'm talking about here? and heal the virus, imbalance or dis-ease affecting them. ...they're all discovering their Natural State of Health - without ever once thinking about dis-ease again. When you have the intact life-force-instilling building blocks to elevate your health, it's easy to focus on your constantly expanding wellbeing. The moment I had my first teaspoon of his life-intact oils, I could immediately smell, taste and FEEL the difference. It was a life-transforming, totally momentous occasion. You crave the chance to flood your body with unlimited life and become so healthy that you never have to think about dis-ease again. You're absolutely surrounded by people taking drugs and supplements - trying to alleviate their symptoms. Nobody wants to live that way. Rebuild the original, unharmed biological state of healthy DNA. 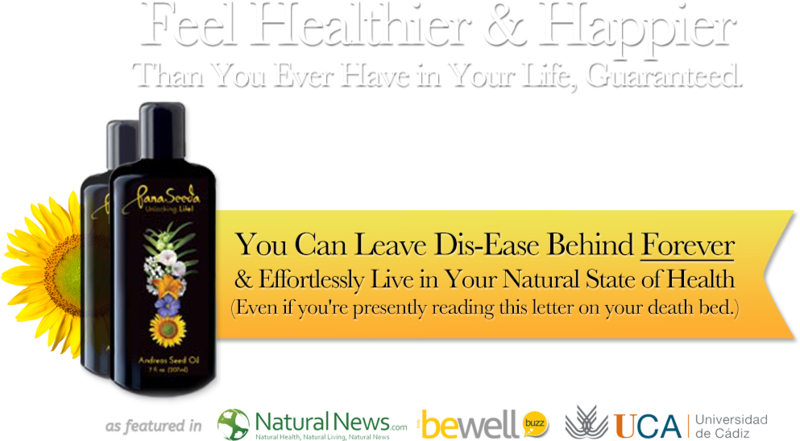 Rid your body of age-creating invaders, like pathogens, heavy metals, virus, abnormal cells and free radicals. Experience the kind of unlimited energy you never even knew was possible. 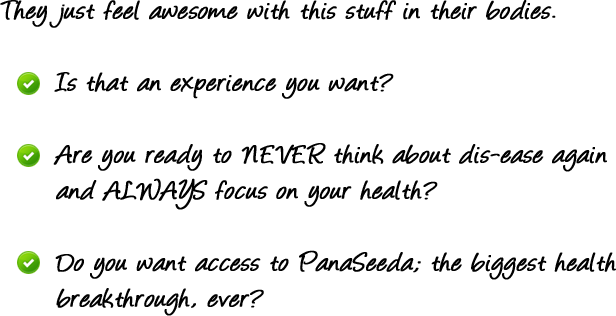 Effortlessly excel in absolutely everything you do; create better relationships and produce unprecedented financial results in your job or business. Maintain and grow a positive mindset that empowers you to believe you can create your reality and command your circumstances - without fail. Those are the simple, but mind-blowing benefits of living in your Natural State of Health. Pumpkin is the only cell fuel your body needs to absolutely flourish. I'm inviting you to leave behind the Sick Care Paradigm and join me in leveraging the single greatest life-force-creating advancement you will ever have the opportunity to embrace. But you need to make your decision RIGHT NOW. We're only able to produce so much PanaSeeda. 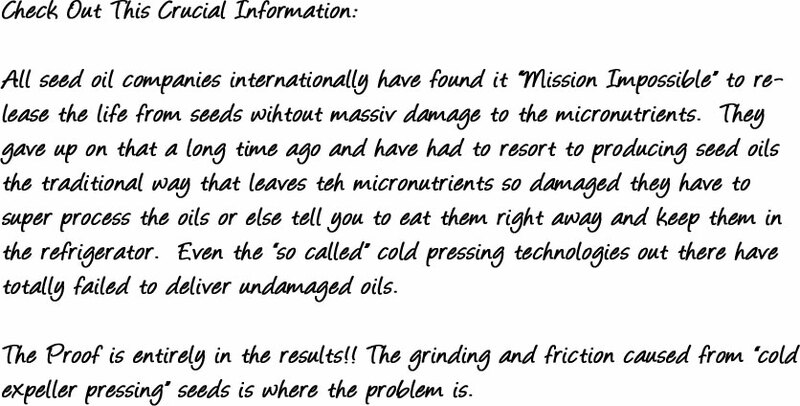 There are only three of these exclusive seed oil machines producting seed oil each day. Since every detail has to be monitored and controlled to ensure the top quality every time, we are not rushing to mass produce this oil. We do have plans to significantly grow our production capacity over the next year. There's a ridiculously limited amount of PanaSeeda available for sale to the public. Consider yourself lucky for being exposed to this letter. the hands of every single person you love. ...with the exclusive life-giving seeds oil money can buy. 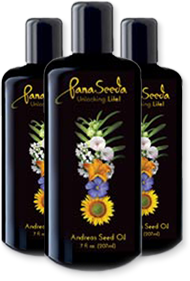 PanaSeeda has been waiting thousands of years to finally become available using the most advanced seed oil technology that keeps every nutrient exactly how it was created. 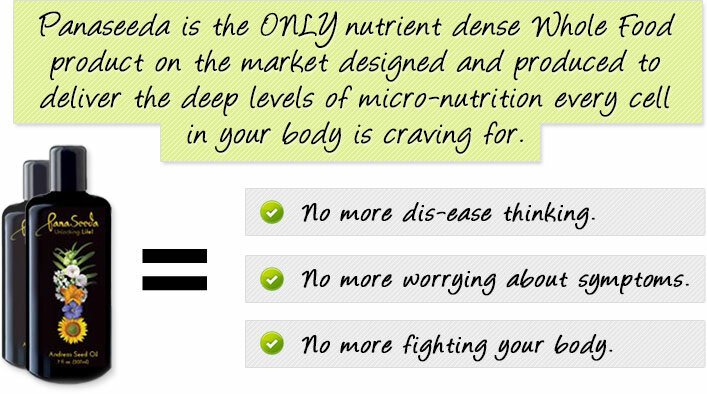 Every teaspoon of PanaSeeda provides the board spectrum of micro nutriends your body needs to totally thrive! I promise it will be one of the very best health decisions you’ve ever made in your lifetime! And while I know that's a BIG declaration. I'm ready to back it up. ...Send us back your empty bottle for a full refund. To give YOU the opportunity to escalate your health status every day going forward! That's what happens when you simply add in the missing pieces of the puzzle that makes you so healthy, dis-ease doesn‘t stand a chance!! ...in the most positive, miraculous way possible. 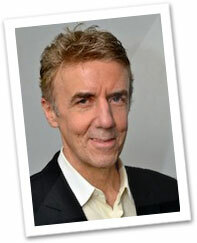 Ian Clark - Managing Director of Activation Products Inc.
P.S. When I say there's a limited amount of PanaSeeda available for sale to the public, that's not hype; that's not fake scarcity. Please, if you're serious about elevating your health, this moment, RIGHT NOW, is the most important 60 seconds of your entire life. I say that with complete and utter sincerity. Take. Action. Now! If you sign up for our auto-ship program, you will be GUARANTEED to always have PanaSeeda in your body. And once you experience this ‘Ultimate Micronutrition’ for yourself, you'll instantly understand why getting on our auto-ship program is vital for your quality of life. P.P.S. The power of seeds has been revered since the dawn of civilization. However, until now, we've only been able to benefit from just a tiny, almost insignificant percentage of life contained in seeds. When I say this is the biggest health breakthrough in the history of mankind, I mean it... because it absolutely is. So if you've ever wanted to stop thinking about dis-ease; about your problems and have a tool, unlike anything before, to build your health. This. Is. It! P.P.P.S. PanaSeeda is NOT a supplement. This is the Ultimate, Whole, Natural Source of Micronutrition like nothing available before. By accessing the abundant life in seeds, you will trigger a nutritional FLOOD that will... With panaseeda, you’re going straight to the resource of abundant life flow. You have NEVER had an opportunity like this to get healthier than you've ever imagined possible. Choose Your Savings Below!